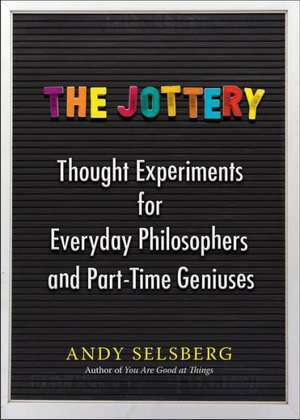 In"The Jottery, "you'll find a series of prompts, suggestions, commands, and questions that are intended to cause neurons to fire and a spectrum of ideas to surface--possibly good, potentially useful, conceivably profitable, maybe illuminating, and hopefully amusing. There's also a chance you'll come up with nothing, and experience a beautiful "idea-lessness" that would be the envy of Zen monks everywhere. Also a win.